Our European “allies” are the past: Asia is the future. Trump realizes this: the Euro-weenies don’t know that their day is over. Europe is a dusty old museum dreaming of past glories, while selling out its patrimony – the legacy of Western civilization – to the crude cultural egalitarianism of political correctness. This entry was posted on June 11, 2018 at 8:00 am	and is filed under Uncategorized. 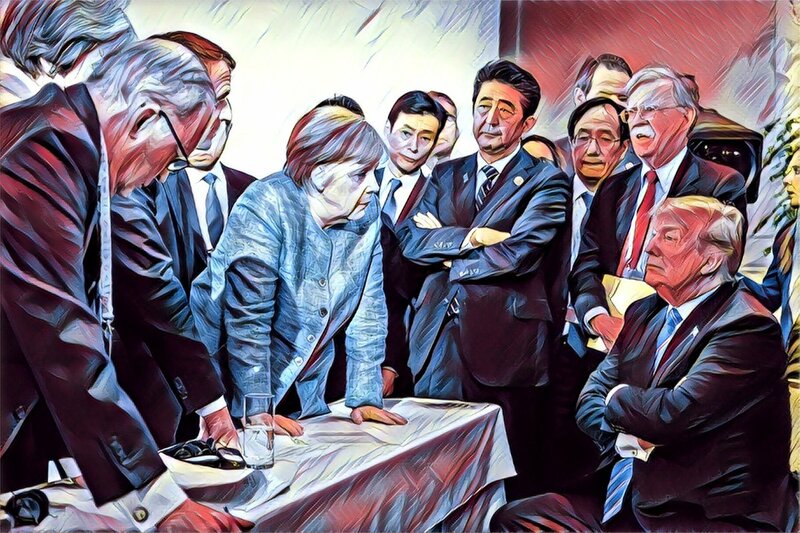 Tagged: Angela Merkel, free trade zone, G-7, Russia, Trump Derangement Syndrome. You can follow any responses to this entry through the RSS 2.0 feed. You can leave a response, or trackback from your own site.